Abstract: High performance electric bicycles, entirely custom-designed and constructed for a premium riding experience, Airwheel is one of the best electric bicycles in the global market today. So, what are the popular designs of its electric assist bike? For 2017, Airwheel has designed two different hybrid electric bike models, so you can pick the best electric bicycle for your needs. Airwheel R8 sturdy e bike is ideal for long commutes and hill climbing, and it is a great all-round choice for more recreational and rugged rides, and the off-road capable mountain e-bike so that you have the freedom to ride even further. 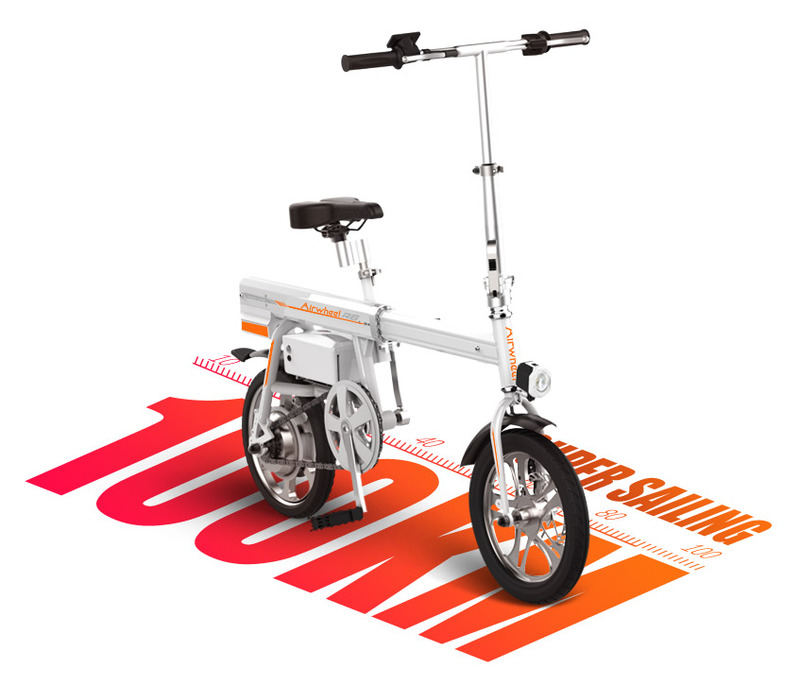 R6 electric commuter bike is combined with the silent power of man-powered drive and moped drive: the perfect combination for creating it ideal for getting around and for anyone who needs to have a vehicle at hand at any time. Airwheel mars rover is to improve riders' experience. For the electric bikes, Airwheel installs collapsible frame allowing easy and convenient storage. Moreover, R6 is easy to fold by pushing one button, as it is equipped with automatic folding system. In addition, there is an electronic lock in R6 for prevention of battery thievery. One second to lock reduces the risk of battery theft. Also, Airwheel smart e bike's battery pack is in a modular design. That is, riders can easily disassemble and replace the battery. It only takes a few seconds to finish it. Also, it is a portable power bank to charge the daily electronics because of the built-in USB port. Airwheel pays a lot attention to riding safety. It is equipped with bell, headlight and intelligent brake taillight. The former two models R5 and R3 have its smartphone app via which riders can learn the real-time data. R6 and R8 install trip computers on the handlebar to help rider change ride modes and to monitor the real-time data. Airwheel electric assist bike intends to solve the daily traffic problems and lets more people experience an easier and more convenient way to travel. To conclude, being more portable and practical has become the orientation of innovation for Airwheel and all Airwheel models can be individually configured according to your riding preferences.